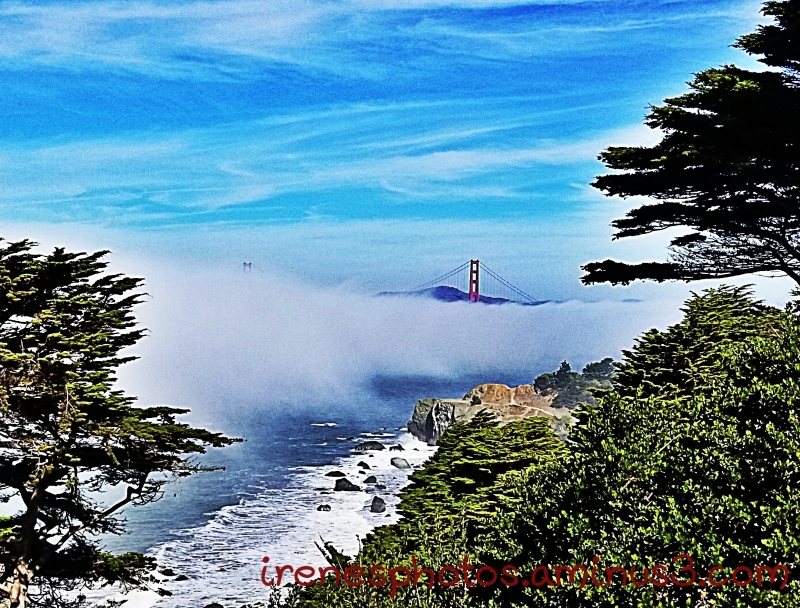 Irene (San Francisco, United States) on 28 October 2018 in Landscape & Rural and Portfolio. After I took this photo, I went by Ocean Beach where it was foggy. Went out of town for a bit, put gas in the tank. Came home, went up to Twin Peaks, and it was sunny, looked towards the Golden Gate Bridge, no fog. I even went through Golden Gate Park and again came home via Ocean Beach, no fog on the way back. another very nice way to see this legendary bridge. Nice view of the top of the bridge through the mist. 5 stars from me. This is stunning.